The Conservative government, arguably, has completely lost the plot in continuing to pursue its so called energy policy that depends so heavily on building a new fleet of nuclear power stations to keep the lights on in Britain. Perhaps George Osborne is seeking an entry in the Guinness Book of Records as the first Chancellor of the Exchequer to commission the world's most expensive nuclear power station. The Chancellor says the project represents good value for money. But the facts suggest otherwise. Further, and with the likely signing of a new nuclear accord as part of the State Visit of the President of China this week, not enough attention appears to have been given to national security issues. All in, Hinkley Point C will cost an estimated £76 billion, for up to 3.2 gigawatts of new generation capacity. As a sobering thought, even offshore wind looks cheap, when compared to the full commercial costs of the project. This apparent blank cheque for new nuclear build is all the more surprising coming at a time when the Treasury has slashed support for onshore wind and solar power and other low carbon projects. The fallout has seen companies such as Drax withdrawing from a £1 billion Carbon Capture project, and others such as the Mark Group, Climate Energy and Southern Solar, making staff redundant. The Prime Minister David Cameron and George Osborne have, of course, been forced into a nuclear bunker by the failure of EDF to progress the Hinkley Point project in a timely manner. It now seems that the earliest possible date for new nuclear electricity in the UK might well be 2025. Will that stretch out to 2030 as time goes by? For example, evidence from Finland indicates that such a scenario is plausible. The lights might well have gone out by then but when they come on again it will be at huge cost to bill payers. EDF has been guaranteed an inflation proof strike price of (initially) £92.50/MWh (at today's prices £94/MWh) over 35 years. Yep! More than double current wholesale electricity prices, and at a time when onshore wind costs were already much lower at around £80/MWh (with a significantly shorter contract). Furthermore these costs were set to fall and be largely subsidy free in the near future, if not for Amber Rudd's (the Secretary of State for Energy and Climate Change) onslaught against all things renewable and energy efficient since May. The feeling of bewilderment at the Alice in Wonderland cost of Hinkley Point C and the human misery of the aforementioned renewable company failures becomes transformed into total disbelief and dumbfoundedness when the national security risks of what is being proposed are taken into account. Heralding the new 'golden age' of UK and Chinese bonhomie, David Cameron and George Osborne have been setting the scene for a big announcement on nuclear cooperation between China and the UK. Putting aside the £2 billion of sweeteners announced by George Osborne recently, on top of a previously announced £10 billion of subsidies, the Conservative government appear to have had a senior moment when it comes to the issue of national security. No risk appraisal appears to have been undertaken. If true, it beggars belief. By touting the provision of investment and technical expertise from the Chinese government and nuclear companies to assist the financially struggling French behemoth EDF, only now have the lights started to flash and the alarm bells started to ring with the UK military. One of the Chinese companies to be involved boasts of its achievement in helping to build China's nuclear weapons! Chinese involvement would extend beyond Hinkley Point in Somerset. The final deal might well involve the construction of two nuclear plants by the Chinese companies and EDF and another to be designed and built by the Chinese companies alone. Cyber security appears to be the main concern. Would China like to have the upper hand and know exactly how these plants were being operated in years to come? If so, and it's not really a difficult question, would they have the wit and expertise to somehow bug the plants, and even be able to switch them off at their whim? Consideration of these questions should send a shiver down the backs of all sane UK citizens. As ludicrous as it might seem, control of our domestic nuclear power stations are being handed over to foreign governments and companies, putting our safety and very survival as a nation at risk. Will the Chancellor's next move be to give the Chinese preferred status to bid for the renewal of the UK's £100 billion Trident folly? It is clear that this unprecedented handover of power and money to Chinese hands will prompt a justified reaction from those thousands of UK steel workers whose jobs are about to disappear due in part to the global dumping of steel by China. Will the remnants of the steel industry and its workers see a fraction of the £76 billion to be spent by the Chancellor on his nuclear boondoggle? Not likely. Let us hope that the Prime Minister and Chancellor's actions do not lead to the radicalisation of unemployed steel workers who are now being joined by unemployed renewable industry personnel. 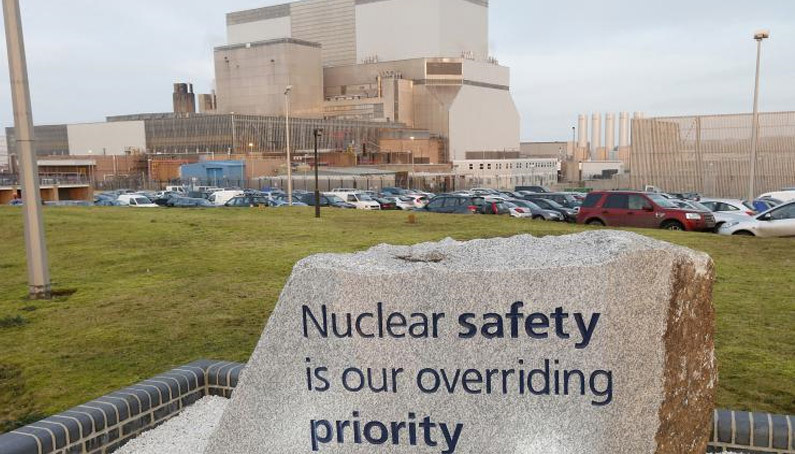 The nuclear option can and has been criticised in so many ways that the UK Government should think long and hard before proceeding with what many UK citizens will rightly consider an unpatriotic and unethical waste of money. It may even constitute a real and potent danger to our current lifestyle in Britain. Previous articleWind Farm Asset Management – it’s not that complicated!